Even though it's still warm outside, hot in some places, every now and then we're starting to get that nip in the air. And that means that autumn is on its way slowly but surely. Here's the last of the summer goodies for 2015! There's nothing like a little late-season treat to wear once or twice this year and be excited about when you pull it out next year! 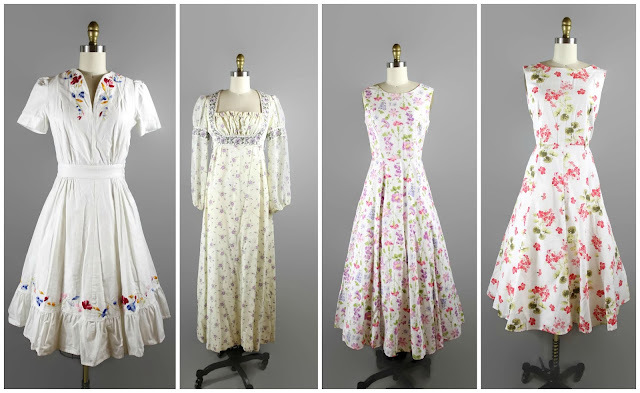 A collection of whites with floral prints made their way to the shop this week.... We're talking 1950s to 1980s floral goodness in XS, S, M and L sizes. These pieces could be great transition pieces for your fall wardrobe. 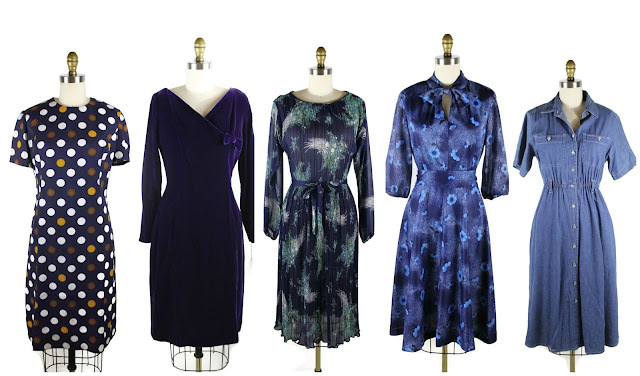 There's two pretty sheath dresses from the 60s, some florals with longer sleeves from the 70s and one killer 80s chambray dress. Primarily sizes S/M. Shop now. 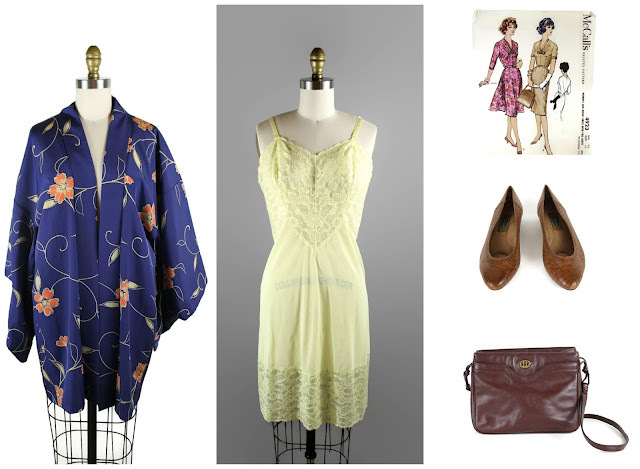 Lastly a stunning vintage haori from my trip to Japan last year, as well as a buttercup yellow slip, an XL pattern from the 50s and two great leather accessories. Visit the shop today and pick up one of these stunning pieces.